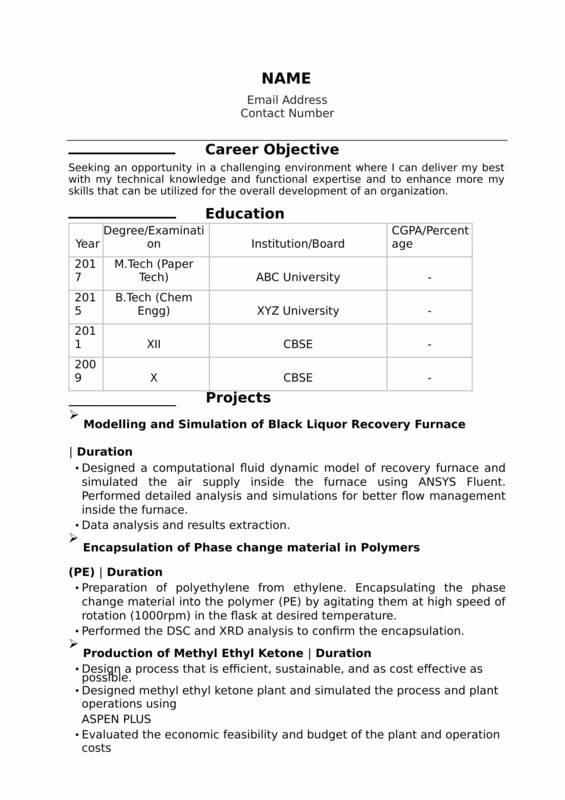 If you are looking for chemical engineering resume templates, then you have arrived at the right place. Drafting a chemical engineering resume can be a precarious task, and thus require expert guidance. With AMCAT’s Resume Buddy, you get the correct guidance to ensure you end up creating the perfect resume for chemical engineering. 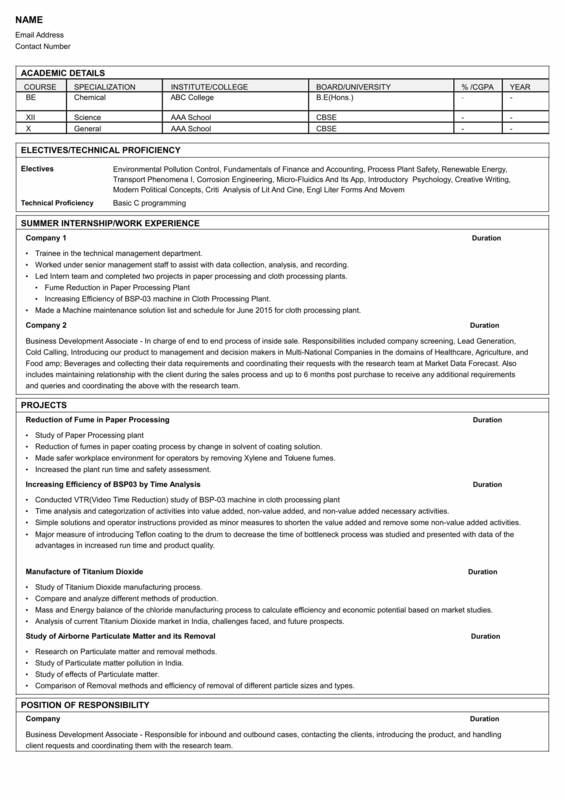 Based on our collection of resume samples, candidates should demonstrate chemistry knowledge, engineering skills, analytical thinking, supervisory abilities, teamwork, and time management. Most eligible candidates hold at least a bachelor's degree in chemistry or a similar field. 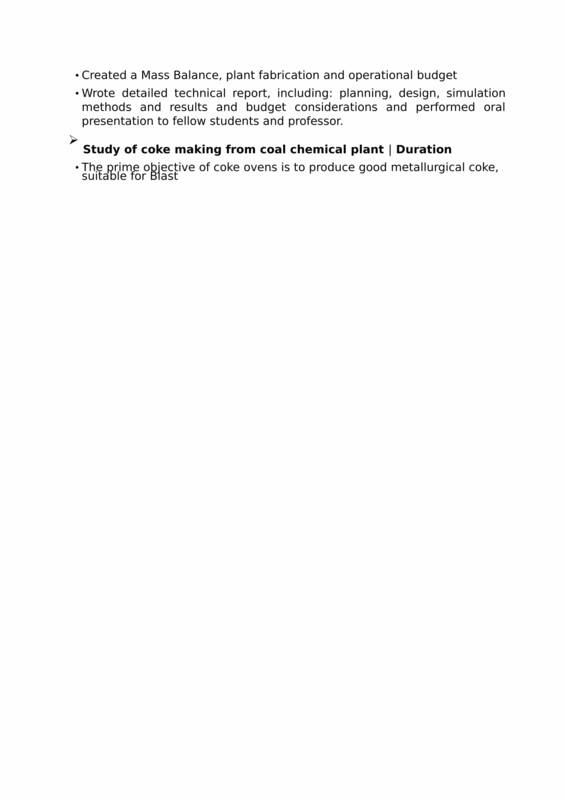 This clearly shows what all you should be highlighting in your resume format for chemical engineering. 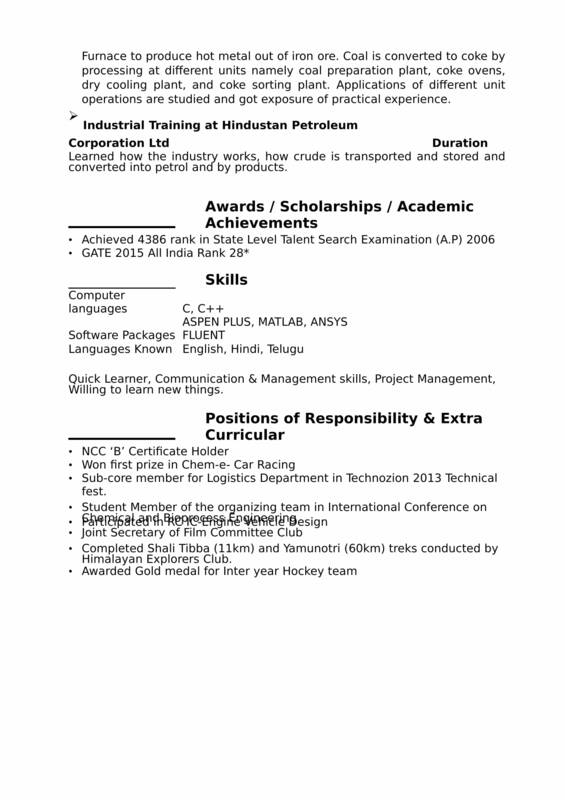 So, choose a fresher resume template that would do justice to your skills, certifications and passion. Ensure that your job resume is uncluttered, talks about your projects, highlights your key skills and is grammatically sound. And, ensure that your job resume is not overly long. Of course, all this requires a lot of smart work. And, that is where Resume Buddy comes in.